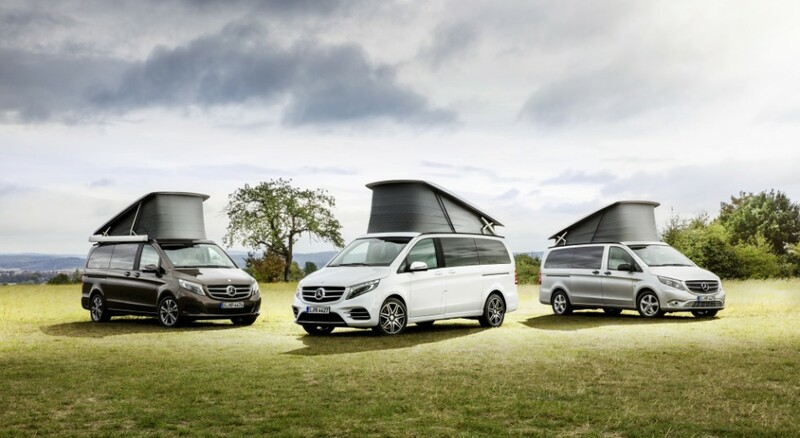 Mercedes-Benz Vans adds another member to its family of compact camper vans and recreational vehicles: the new Marco Polo HORIZON complements the product portfolio consisting of the Marco Polo and Marco Polo ACTIVITY. Mercedes-Benz presents the newcomer at the Geneva Motor Show. The show takes place in Geneva from 9 to 19 March. The third member of the Marco Polo family can be ordered with prices starting at 52 051 Euro (including 19 percent VAT in Germany). “The Marco Polo and Marco Polo ACTIVITY are very popular with our customers and are high in demand. 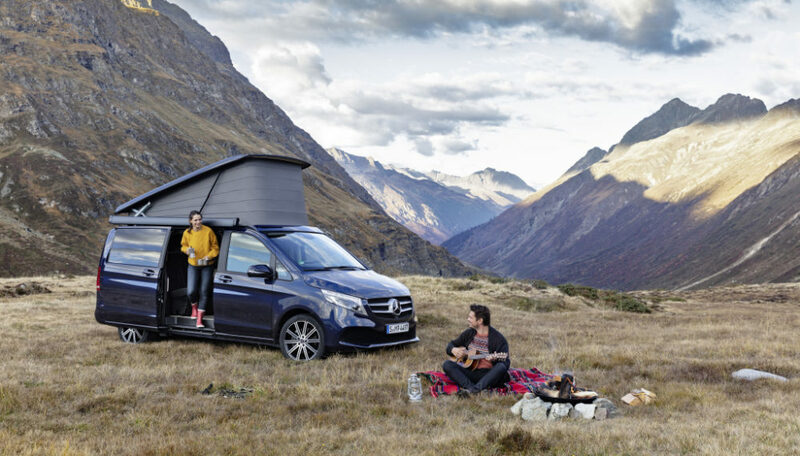 We therefore decided to extend our portfolio of compact camper vans and recreational vehicles by adding the Marco Polo HORIZON”, says Klaus Maier, Head of Marketing and Sales Mercedes-Benz Vans. “With our new Marco Polo HORIZON we appeal to customers who want the handling and high-quality design of a passenger car but need a flexible vehicle for their active leisure pursuits”, continues Klaus Maier. 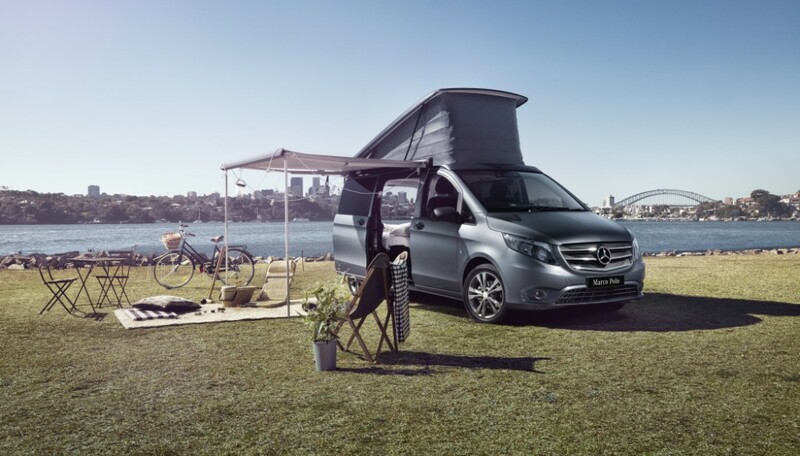 Thanks to its flexible seating configurations with up to seven seats and sleeping options for up to five people, the Marco Polo HORIZON combines maximum functionality with the design of the V-Class. The new compact recreational vehicle bearing the Mercedes star is aimed at trend-conscious adventurers. They look for a flexible and functional vehicle for spontaneous trips and outdoor activities but do not want to forsake a stylish appearance. Thanks to compact exterior dimensions and a vehicle height below two metres, the Marco Polo HORIZON is not just ideal for leisure activities, it is also a perfect everyday companion. For instance, it can get into any standard multi-storey car park without problems. Independence and everyday practicality are firmly embedded in the DNA of the entire Marco Polo product family: equipped with a kitchenette, wardrobe, swivelling front seats, a bench seat with bed extension and roof bed, the standard version of the Marco Polo based on the V-Class offers space for four people. The Marco Polo is the ideal vehicle for individualists and savourers who like to use their camper van for longer trips whilst looking to retain as much independence as possible and enjoy familiar living comfort. They also appreciate everyday practicality and attach importance to style. 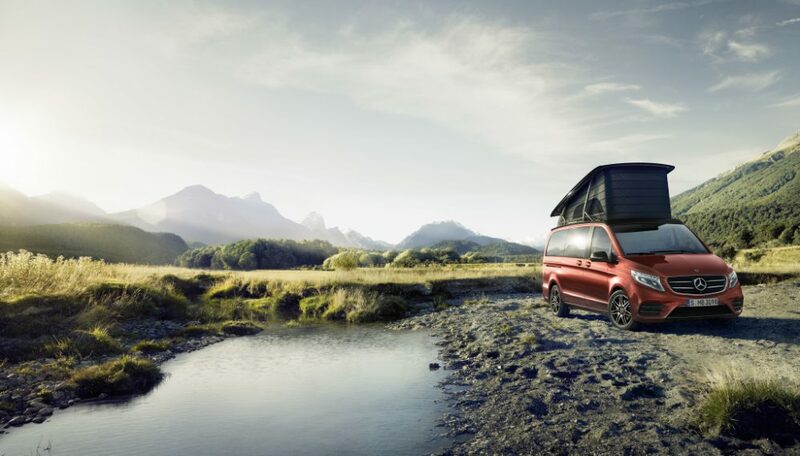 The Marco Polo ACTIVITY compact recreational vehicle based on the Vito Tourer is foremost functional and flexible. Featuring an exceptionally variable interior and comfortable sleeping options for up to five people, it is aimed at young families as well as sports enthusiasts and outdoor fans seeking the spontaneous adventure. The new Marco Polo HORIZON combines attributes of the Marco Polo and Marco Polo ACTIVITY, making it an ideal addition to the portfolio to attract new target groups. Attend a business meeting in the morning, pick up the kids and their classmates from school in the afternoon, then a climbing weekend with friends: the multiple seating configurations possible in the Marco Polo HORIZON reflect its exceptional versatility. These range from the standard five-seater with three-seater bench/berth and two swivelling front seats to four single comfort seats in the rear to the seven-seater with three-seater bench/berth in the second rear row and two additional single seats in the first rear row. Seats can also be removed if more space is required to transport sports and leisure equipment – transforming the everyday van into a recreational vehicle. Overnight comfort is also assured. The comfortable roof bed for two people measures 2.05 m x 1.13 m. Depending on the seating configuration, the bench seat/berth in the rear can be turned into a bed measuring 1.93 m x 1.35 m for up to three people. Two drawers underneath the bench seat/berth provide stowage space. Furthermore, it is possible to darken the interior using curtains for a good night’s sleep. The Mercedes me connect services will also be available for the Marco Polo HORIZON. Customers will be able to easily connect with their vehicle via smartphone, tablet or PC. The Mercedes me connect Standard Services, which come free of charge, include the Mercedes-Benz Emergency Call System, Accident Recovery, Maintenance Management and Breakdown Management, as well as Telediagnostics and Remote Vehicle Diagnostics. Further options available include real-time Live Traffic Information and numerous Remote Online Services such as control of the optional hot-water auxiliary heating. With these the Marco Polo HORIZON offers the convenience of state-of-the-art connectivity.